“Since March 8, trade has remained suspended from Salamabad to the Pakistan side, because we were informed that the bridge needs repairs. There are perishable items in the trucks, including bananas and vegetables, and lot of them have been damaged. We don’t have an exact estimate, but there are goods worth over Rs 1 crore,” Hilal Turki, chairman, cross-LoC traders’ association, told The Indian Express. Trade between the two countries takes place from Tuesday to Friday every week. When contacted, Deputy Commissioner Baramulla G N Itoo told The Indian Express: “We received a message from the Army that the bridge requires some repairs. They had contacted the Pakistan side as well… I have again contacted the officials and a joint inspection has been done. The work has to be started. I cannot say how much time it will take,” he said. Asked about the damage to items in the stranded truck, Itoo said he had “no such information”. 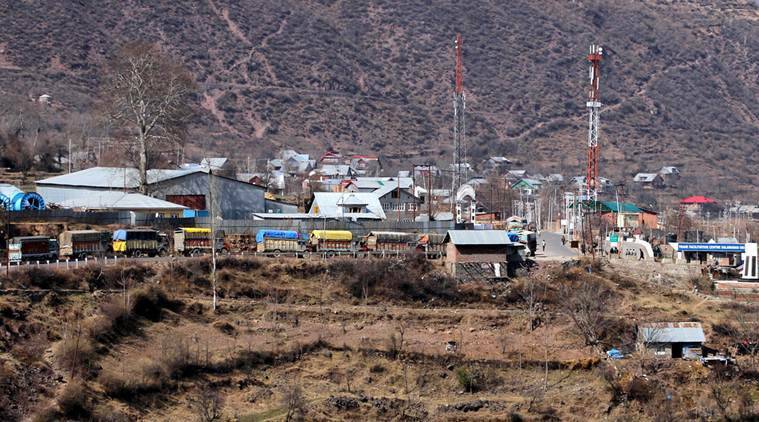 SDM Uri, Riyaz Malik, said trucks are stranded at the Salamabad trade centre and at other places nearby in north Kashmir. “The work is going on,” he said.